Regular comprehensive eye exams are an important aspect of preventive health care, which helps identify eye and visual performance problems. Many people, however, skip their appointment with their local vision or binocular vision dysfunction specialist and don’t prioritize their eye health. Some patients may even do this because they feel intimidated by the eye exam procedure, but this shouldn’t be the case. To show that eye exams don’t have to be frightening, iSee Vision Care discusses what to expect in an adult eye exam. Before the tests begin, your eye doctor will ask about your medical history in order to find out specific information that may affect your vision health. The major components of a patient history include general, visual, ocular and general health history. Your eye specialist should also be informed about current medication usage and vocational vision requirements. What is visual acuity? This refers to the sharpness or clearness of one’s vision, which allows a person to discern the shapes and details of objects. 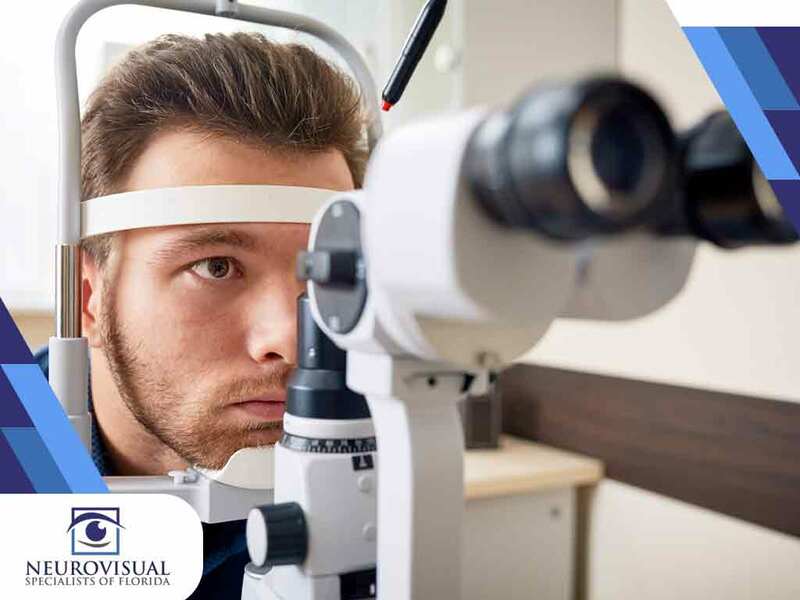 To gauge your visual acuity, your eye doctor may conduct a cover test and observe the external ocular and facial areas. Pupil size and pupillary responses will also be assessed. Refractive errors occur when the light does not bend properly as it passes through the lens of your eye. This may be the result of the irregular shape of the eyeball, cornea or lens. A refraction test allows your eye specialist to determine which prescription lens will improve your vision. This type of eye test will also help them diagnose eye conditions such as astigmatism, myopia, and hyperopia. Turn to iSee Vision Care for your TBI concussion and vision health care. We conduct comprehensive eye exams to help detect acute and chronic eye problems that can impair eyesight. Call us today at (561) 733-9008 or fill out our online form to schedule an appointment. We serve residents of Boynton Beach, FL.